EXCLUSIVE COMMENTARY: How it came to be. (L to R) Inkers: Brent Anderson, P. Craig Russell, Jim Lee, Kevin Nowlan. Laura Martin colored the first two. Alex Sinclair colored the second two. It’s NEAL ADAMS MONTH here at 13th Dimension, and we’re featuring daily commentary by Adams on his variant-cover project for DC Comics. 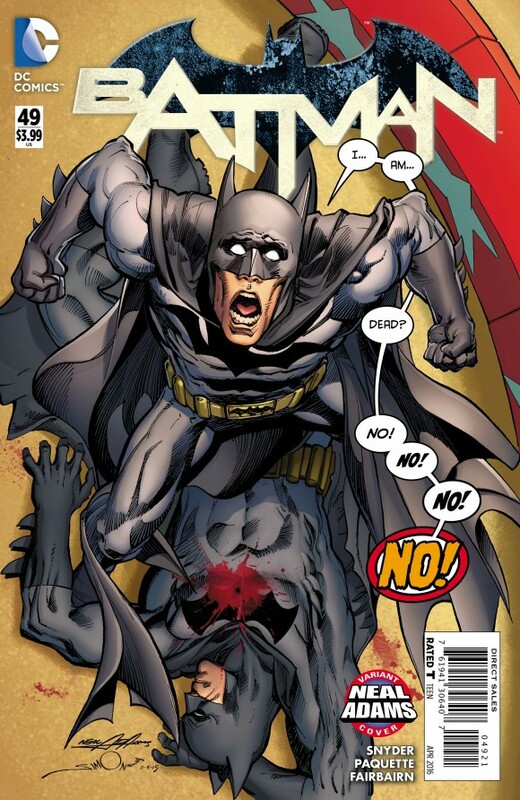 Each of his 27 variants is a twist on one of his famous covers from the past. He provided the pencils, and the inks and colors were handled by some of the biggest names in the business like Jim Lee and Kevin Nowlan. For yesterday’s segment, on The Brave and the Bold #85/Green Lantern #49, click here. So, OK. Now that we’ve gone through this week’s four Neal Adams variants, it seems like a good time to take one step back before we forge ahead with the books of Week 2. I mentioned the other day that when I first heard of this project I was lukewarm. It seemed awkward for an artist to effectively do an homage to himself. When it was announced, I even suggested an alternative — have other artists re-do famous Adams covers outright. Then I actually saw these covers up close and I did a 180. 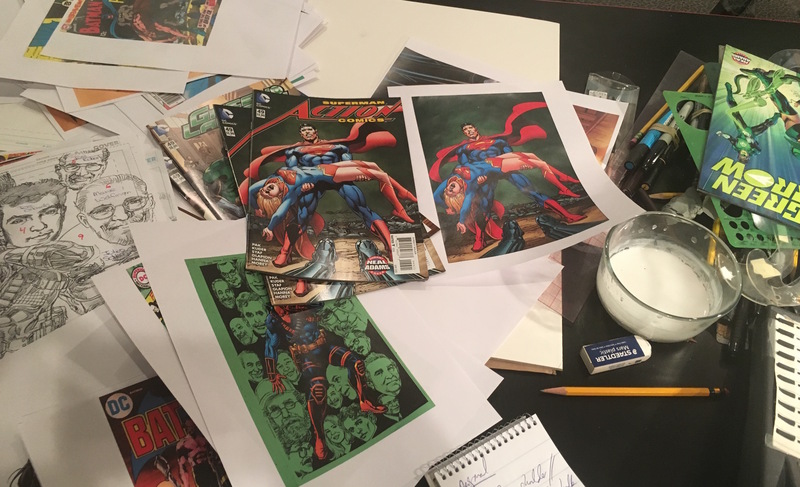 When I sat down with Neal for the marathon interview that formed the basis of NEAL ADAMS MONTH, I asked right off how the project came about and he volunteered that he also had reservations when it was first developed. He was talking with DC, he told me, and was pitched the idea. His initial thought was that it was odd — but then the creative wheels started turning. Besides, he joked, he’d already laid them out. 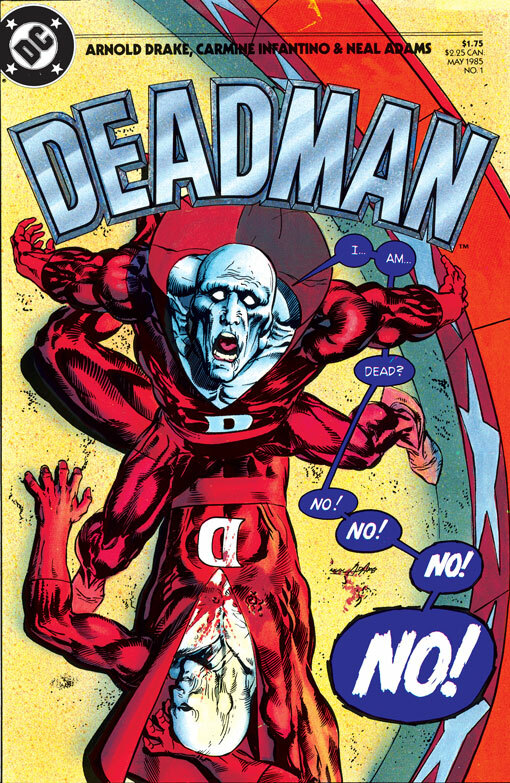 DC gave Adams two lists, he said: One with classic covers and one with current titles. It was up to him to match the images to the titles. “They actually switched one or two along the way but essentially it all kinda worked out,” he said. Still, it felt a little strange, he said. Until he started thinking about all the top artists who were going to ink and color the covers. “I thought, ‘Well, there’s a kind of a nice thing about inkers going through the experience that I went through years ago because they’re working on the same cover that I did. They could enjoy that. I can see that,” he said. “There’s a certain nostalgia. Because most of these guys grew up reading those books and seeing those covers, you know? And I thought, you know, that’s not bad. Good! 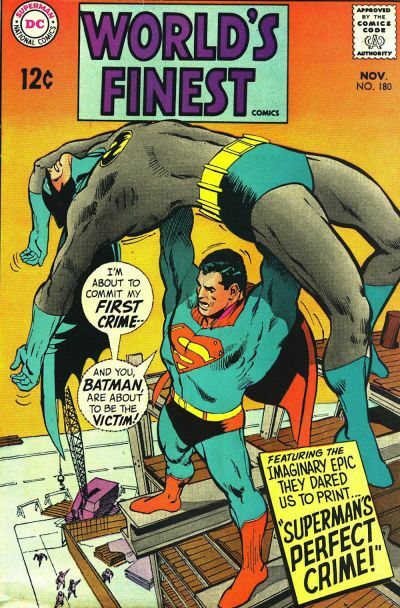 “I’m glad (DC) picked the covers, too, because, to be perfectly honest, had they picked 52, there’s easily 52! They could’ve gone for a hundred! 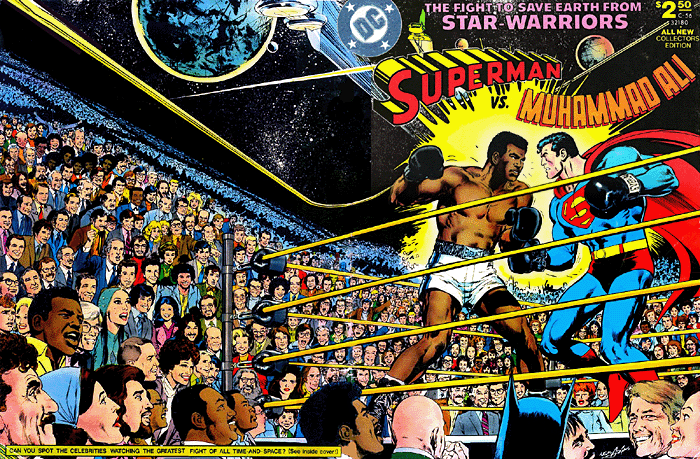 Neal Adams: It seemed very crazy at the beginning but it’s sort of like when it was first presented to me to do Superman Vs. Muhammad Ali. I thought, ‘What a stupid idea!’ But later on it turned out to be, no, a GREAT idea! 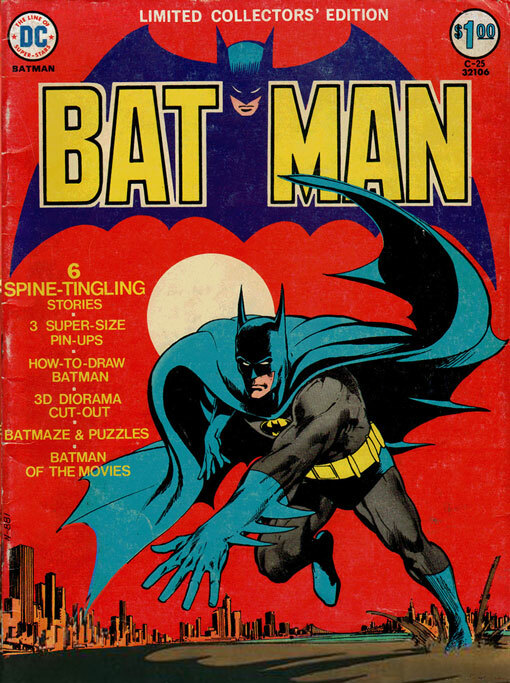 And that, probably, is one of the most legendary comic books ever done! So, yeah. Let’s do it! What the hell, you know? I’m up for it if they’re up for it. If they’re up for it, then I’m up for it. So I started cranking out these covers and then the question came, who’s gonna ink the covers? … And then we discovered that along the way, there were people that have enough memory, enough attachment to these covers that they would love to do a cover. 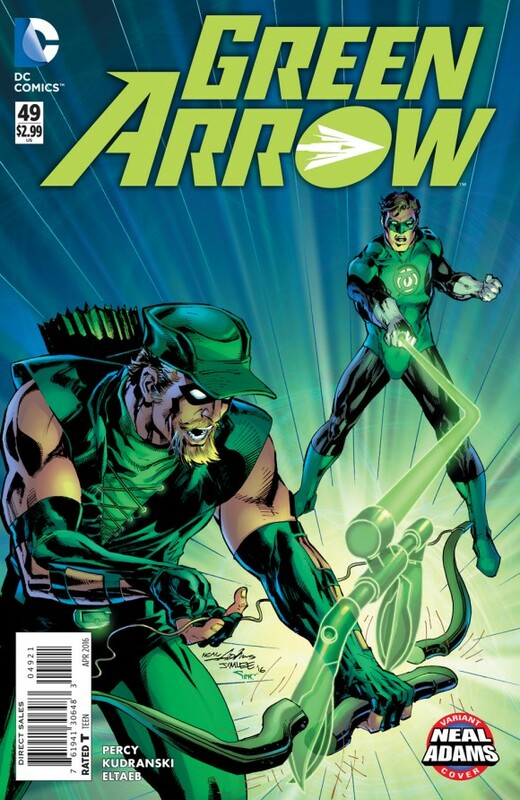 I mean, even Jim Lee, who is the (co-)publisher of the company, wanted to do the Green Lantern/Green Arrow cover. Frank Miller raised his hand to do a Superman cover and we’re thinking, ‘Frank? Really? On Neal?’ (Dan laughs.) But it turned out great. He did a terrific job. We had our own choices as well. Dan Greenfield: Who were some of those choices? The thing has now all turned out to be this extraordinary kind of pleasure because people that I never thought might have that attachment or might want to do that — like Walt Simonson! Walt Simonson did a cover — have volunteered and (have been) able to do this. So the game is, even for me, when the covers come in, “Who inked it? I think I know. Wait a second…Uh…who inked that?” You play the game. And it’s a terrific little game! Dan: When I looked through the covers, I was struck by how much I could see of you and how much I could see of the different inkers, where some of the inkers went in further and where some of the inkers pulled back. Dan: It was an interesting thing to kind of get inside their head a little. … Do you think that any of them were concerned that you would be displeased if they put too much of themselves into it? Neal: I think so. There’s that weird kind of paranoia that Neal’s kind of a crank. (Dan laughs) But I’m not. I guess there’s that out there. Maybe I’ve had enough criticisms (of the industry) that people might think that I have more criticism for artists but I really don’t. They’re the glory of our business—all these wonderful artists and writers. So I’m just watching the game. NEXT: Back to the covers, with a little monkey business … Click here.